Taking a stroll in Luang Prabang is never boring for me. There was plenty of things for me to take observation along my path as I was chasing the sunset. Many people were busy with Boun Ok Phansa (End of Buddhist Lent) decorations. Restaurants were preparing for guests at dinner time and the town came alive if not more than the day time. 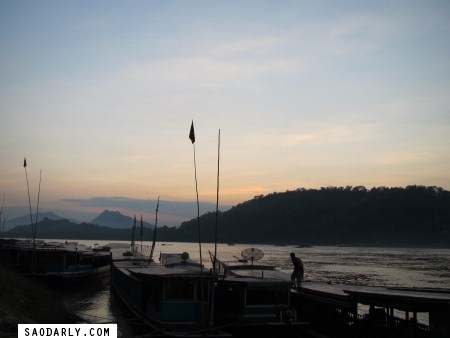 The next best thing to walking along the Mekong River is riding a bicycle through town and making stops along the way.